The Value Proposition Toolkit is designed to help associations establish a clear and simple value proposition and promote the value of membership in your association. A value proposition is the unique statement of the value an association offers its members. It differentiates why being a member is different than not being one. It’s the reason members should pay their dues, invest in a class, or invest in new technology. It is a promise of what they will receive in exchange for their investment. There is no more critical time to convey your value than now. Value can unite your leadership, your staff, and your members—regardless of association size—at a time when member attention is hard to capture. 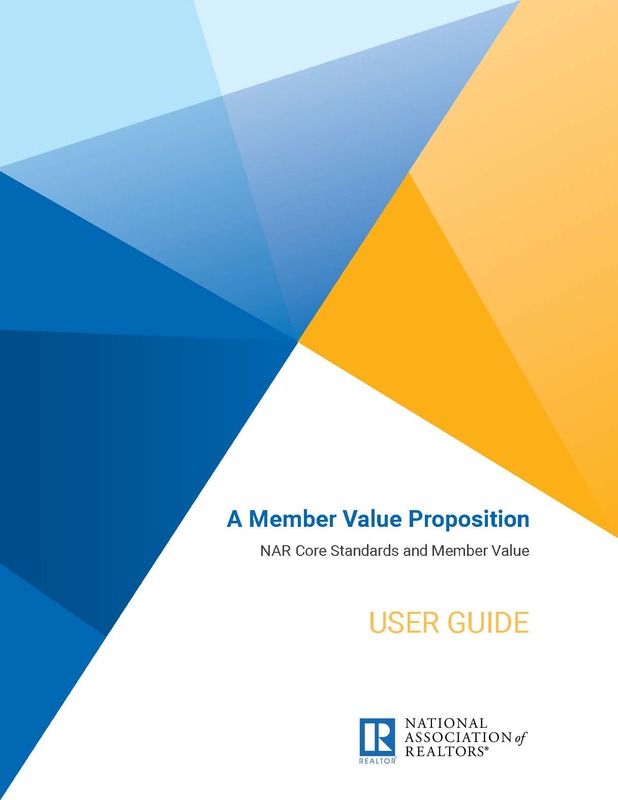 Many association executives are finding that NAR’s Core Standards requirements can lead to more programs and activities that members value. As your association strives to raise the bar and meet higher standards, your members will notice greater value in a more professional organization. You can also help them make the connection between their REALTOR® association membership and their business success. View and download the User Guide, handouts, and web graphics for the Member Value Proposition Relating to Core Standards.